Easy to get on with and have confidence in his ability, hope later in the year to have more success. A vendor was selling a 4 bedroom House and found Josh via OpenAgent to sell her property. 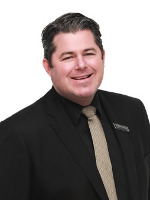 Josh Brockhurst has sold 57 properties in the last year. They’ve recently sold properties in Thornlie, Huntingdale, South Lake, Canning Vale, Melville, Roleystone, Byford, Mount Richon, Lesmurdie, Martin, Ferndale, Ascot, Piara Waters, Maddington, Gosnells, Parmelia, Meadow Springs, Baldivis, Jolimont, Nollamara, Lynwood, Ellenbrook, Orelia, Bedfordale, Jane Brook, Calista, Harrisdale, Wannanup, Beeliar, Karragullen, Belmont. A recent sale was a 4 bedroom house at 74 Glyndebourne Avenue, Thornlie. Their highest sale in the last 12 months was a 5 bedroom house in Karragullen for $700,000. Josh Brockhurstwill get back to you shortly. What can Josh Brockhurst help you with? Looking for more agents in thornlie?